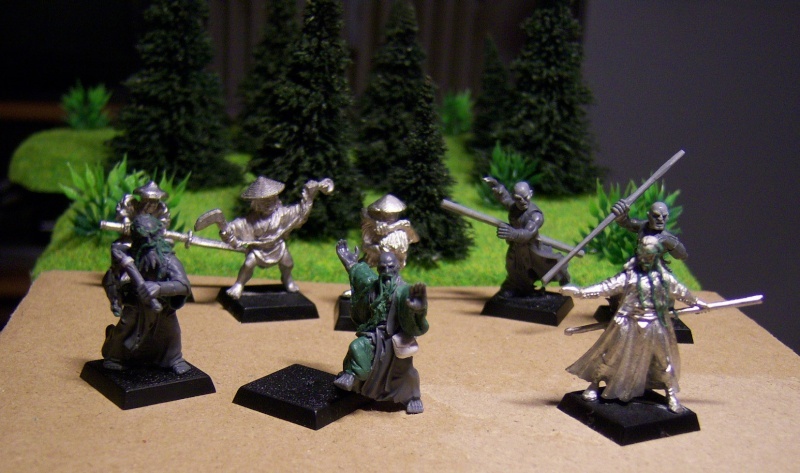 Warrior monks can be easily converted using the Warhammer Empire Flagellant regiment box. 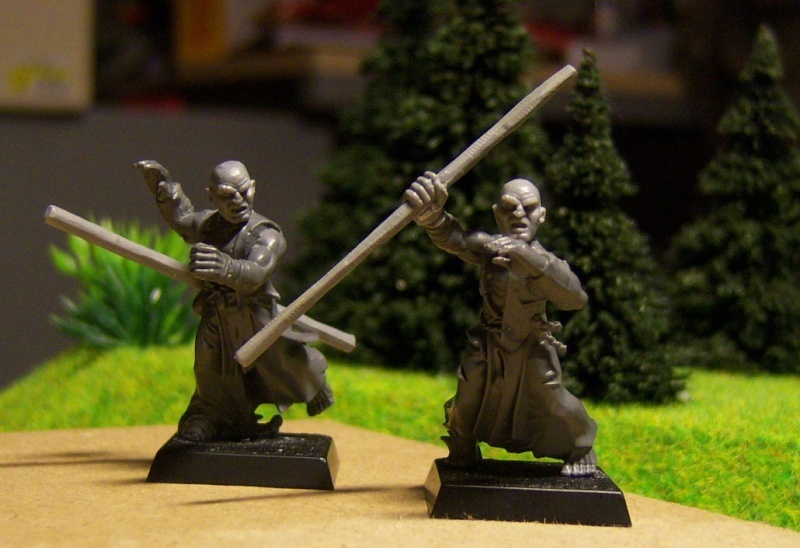 These henchmen have Chaos marauder heads and fighting sticks. 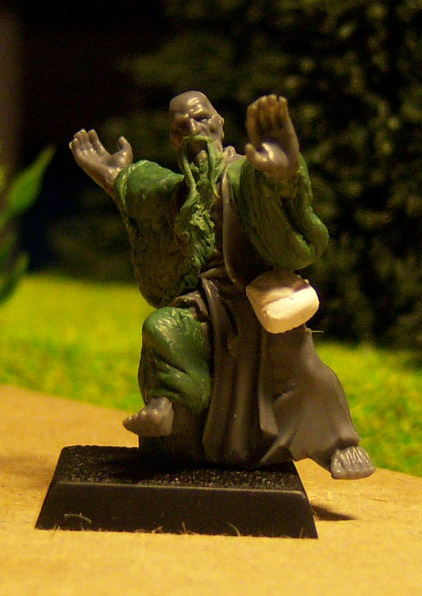 Mystics are the masters of martial arts. 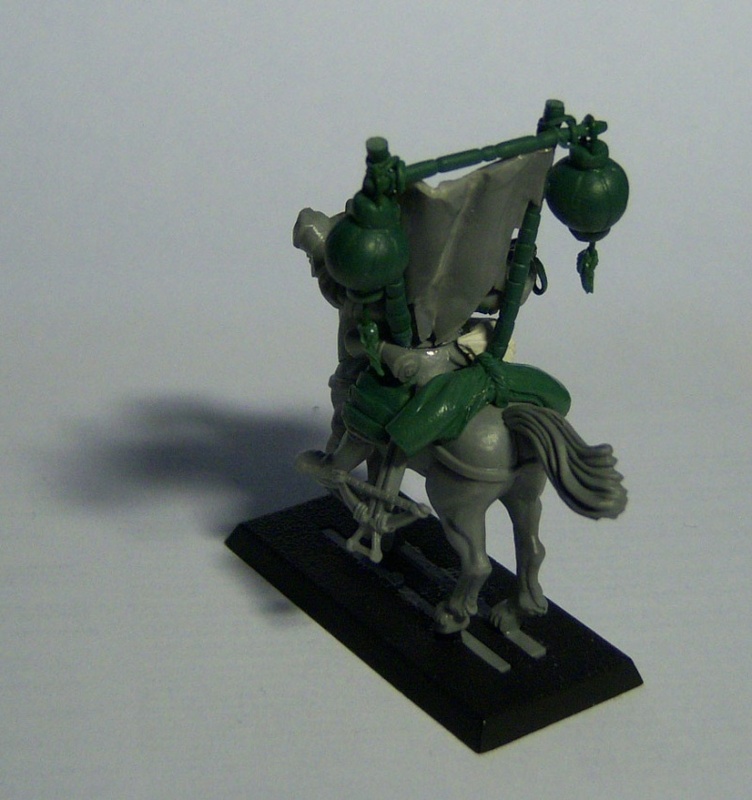 This one is made using the Mordheim Elf Mage and green stuff for some Cathayan flavour. 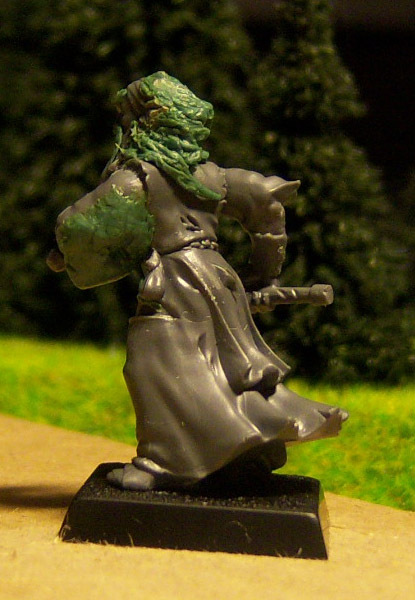 This mystic is wielding a nunchacku. 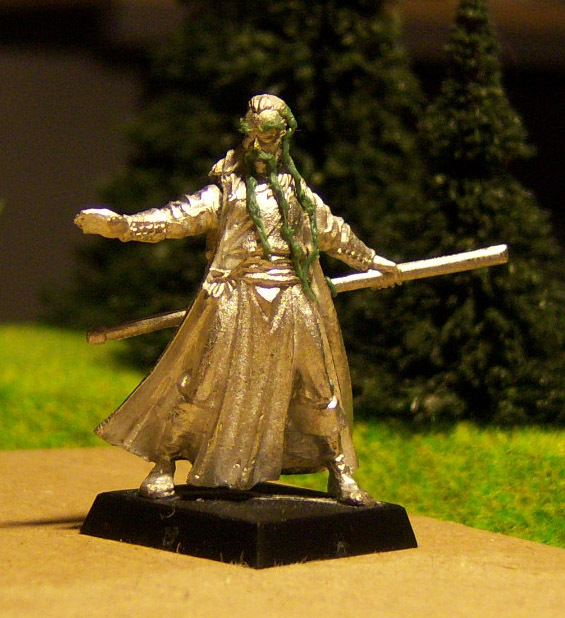 The model required a lot of convertig for the head and the weapon. These are raging peasants. 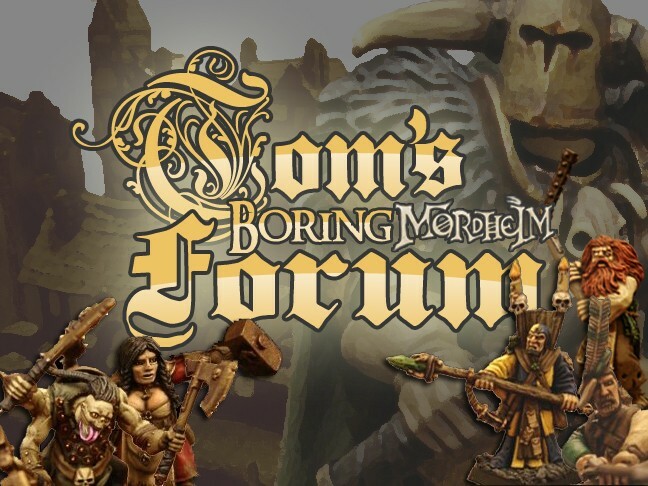 Sort of like the frenzied mob in the EIF supplement, they represent angry townsfolk that defend their homes and families. 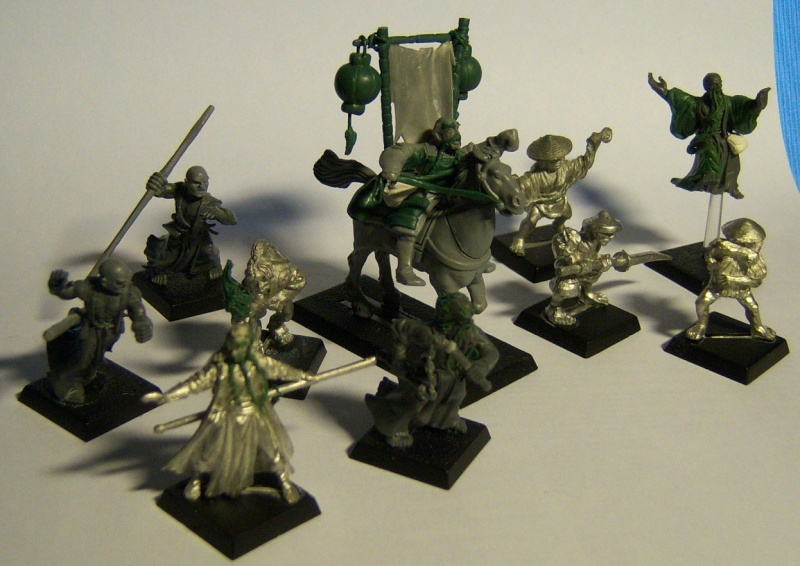 These unskilled people are 'hired' by the Emissary to help them fight the marauder raiders and other threats. 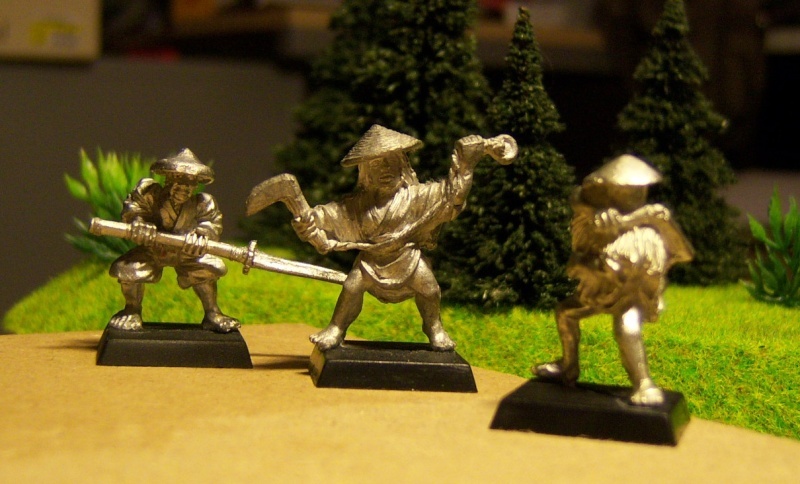 The warband does not consist of warrior monks only. 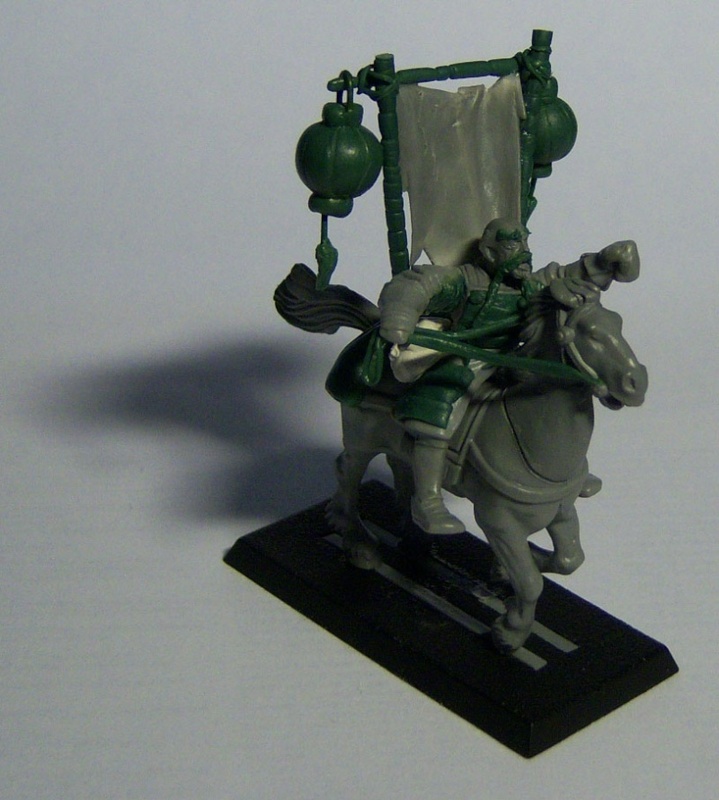 There is the leader, an Emissary from Weijin, sent by the Emperor of Cathay to organise the city's defense. 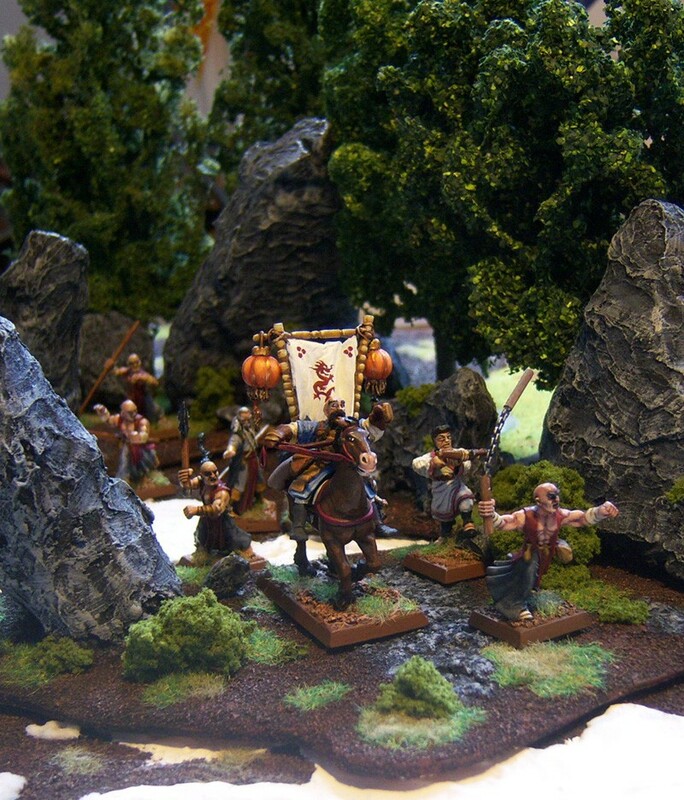 The town militia officer leads his militia men into battle alongside the warrior monks. 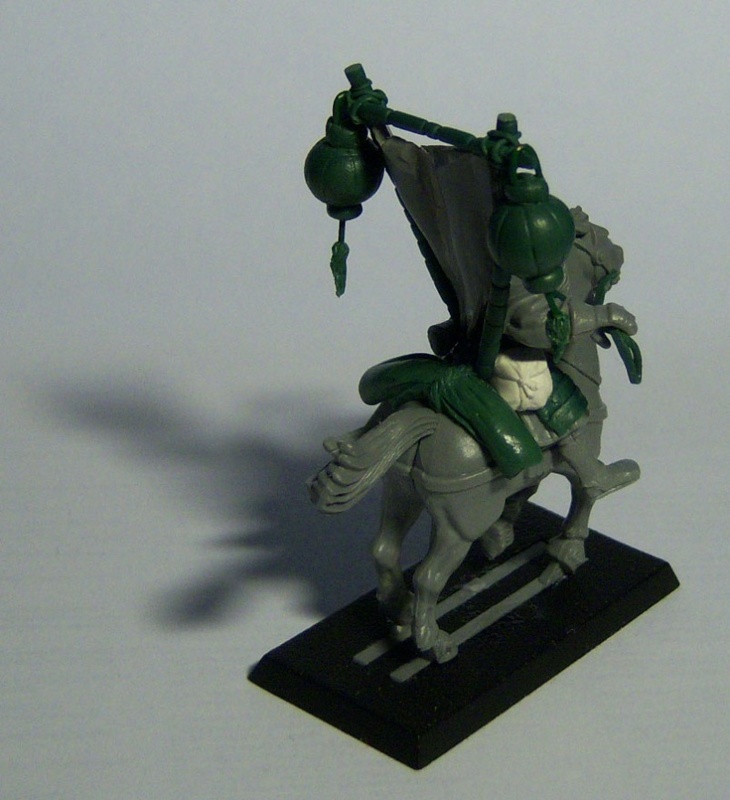 I'm pretty much done with converting so I hope to be able to start painting these and the marauders of Chaos soon. 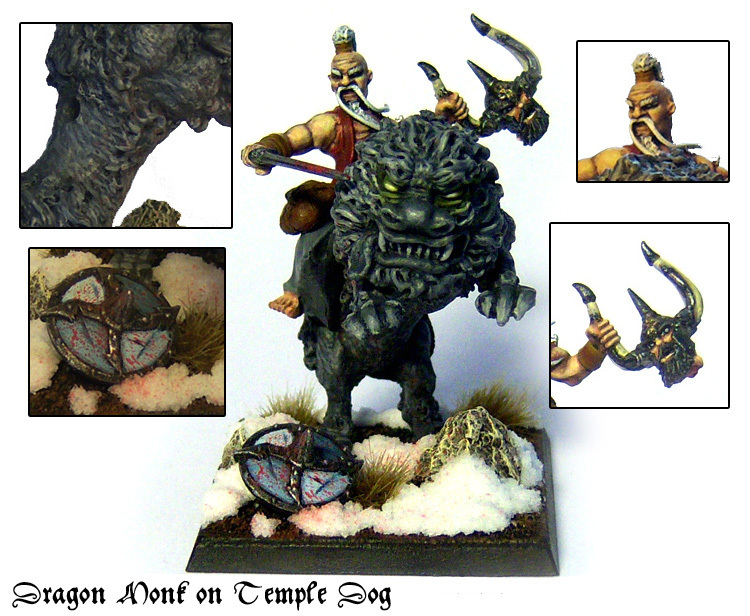 Dragon Monk on Temple Dog, made for the Golden Tom competition. Read more here. That is Awesome Cianty! Great conversions! and great Ideas! I can't want to see the next post! 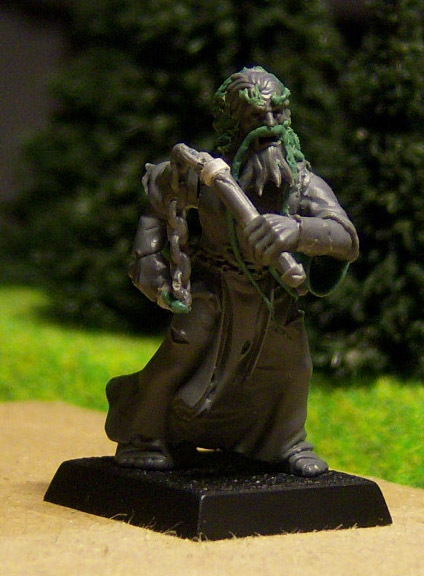 I'm looking forward to seeing the painted minis! 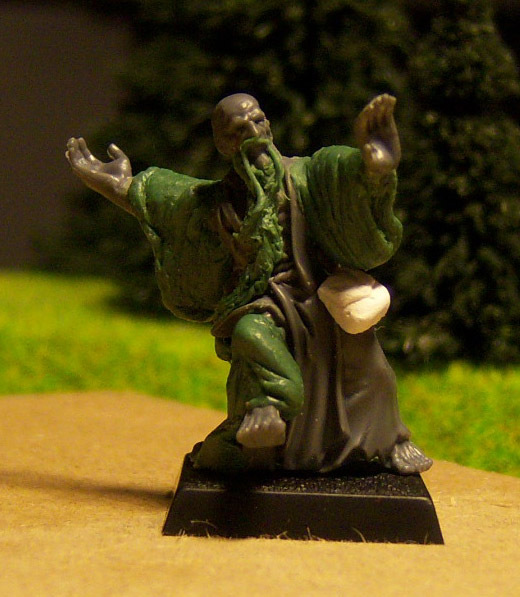 Cool, it's nice to finally see some monk models! @Tom: yes, it is. Thanks again for that! 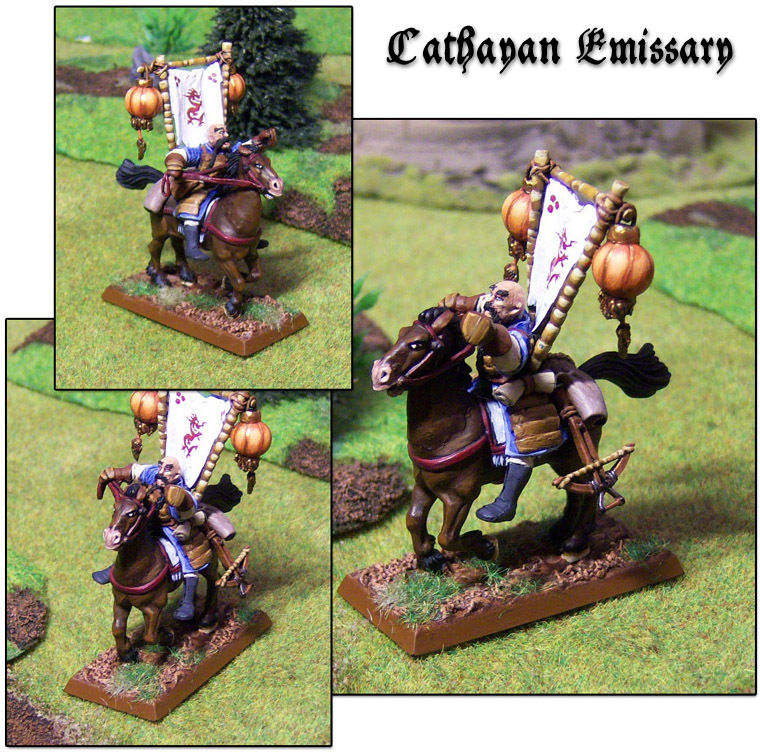 The Emissary is in town, ready to lead the monks. Great work on the lampions! How have you made the lampions?can you make a tutorial?they are so cool!!! 1. Make a ball with green stuff. At best you already give it an oval shape. 2. Let the ball harden for 5 minutes or so. 3. Use your hobby knife (or whatever it's called) to make the chamfers. 4. Let the ball dry (and harden) completely. This will take several hours, at best stop working on it for the day. 5. Cut a small piece of thin wire. 6. Add the little pieces at the top and bottom of the 'ball' and shape them with the knife until you are satisfied. 7. Press the wire into the soft bottom piece of green stuff. 8. Let the whole thing dry again (several hours again). 9. Use small portions of green stuff to shape the adornment at the end of the wire. A knife helps in giving it a fabric appearance. 10. What I want to do is improve the bottom piece of the lampion. I'll try to add some green stuff to make it look like little threads..
Hope this helps. 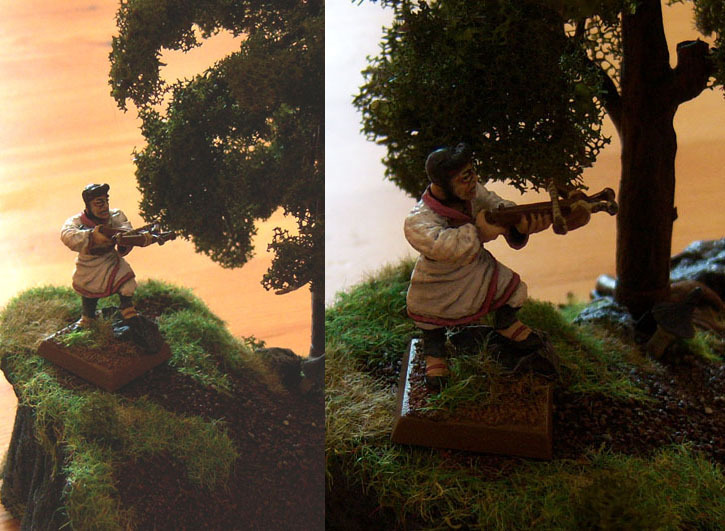 Sorry for my lack of proper names/descriptions of some of the pieces. They will be published in the Border Town Burning supplement this summer. I mean a cool story to include 'em in the setting! 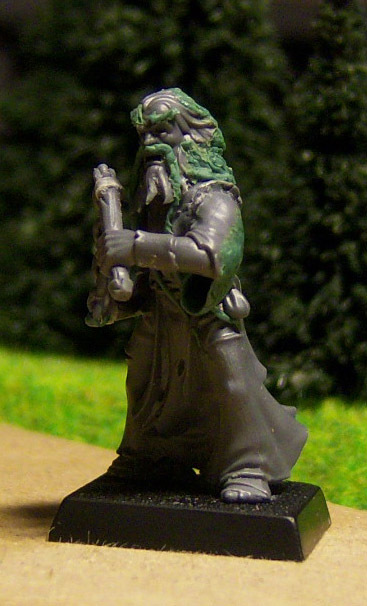 There is yet a pdf version of the band rules? O__o I thought they should come this summer. 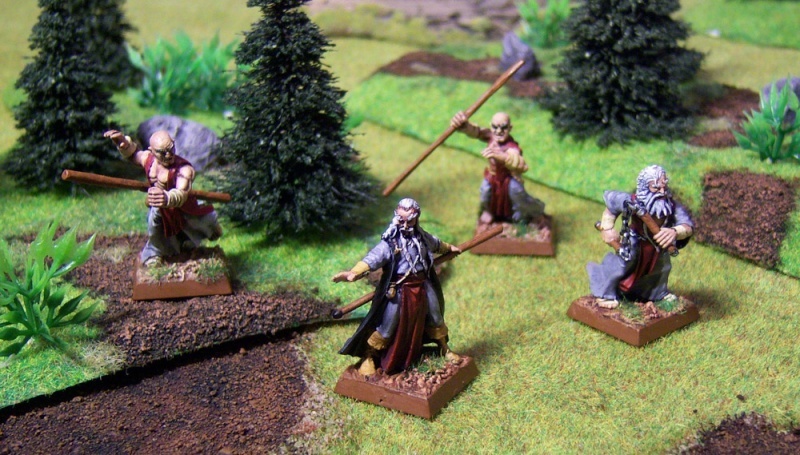 The Monks are as tied to the setting as the Reiklanders are to Mordheim. 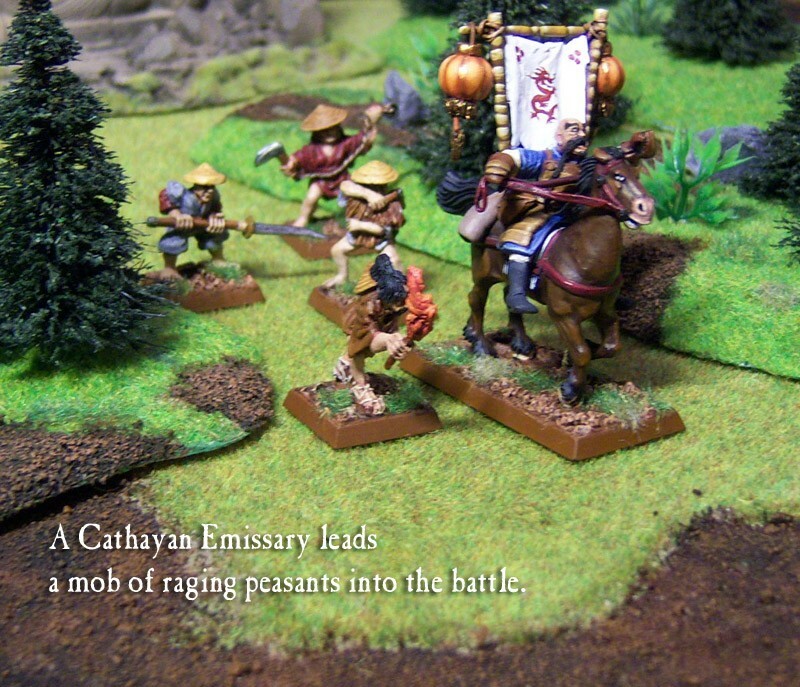 There will be a whole lot of info on what the Emissary, the militia dudes and monks are doing there. 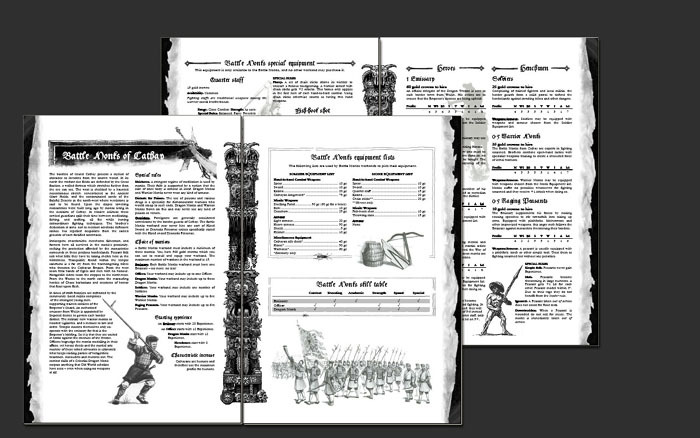 The supplement has a similar background section as the rulebook or the Empire in Flames book. Not much I could add to it for my individual incarnation of them. True.  Consider this a sneak preview. It's not really difficult. Simply make a thin "snake" with green stuff. 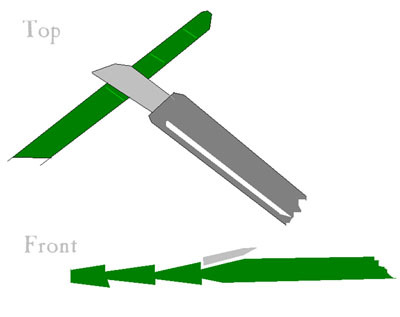 Then press the blade of the knife on the green sausage and move it forward and back carefully. If you tilt the blade a little while doing so the final shape should come out to be like in my photos. It's very important to let the green stuff dry completely after sculpting because even now it is quite elastic and far from solid. Great work on green stuff. Very very jealous of your work. @Konqueror: I already thought about that but I never had problems with the painted horses I have so I didn't bother to do anything about that. Plus I have a rock dragon to glue. 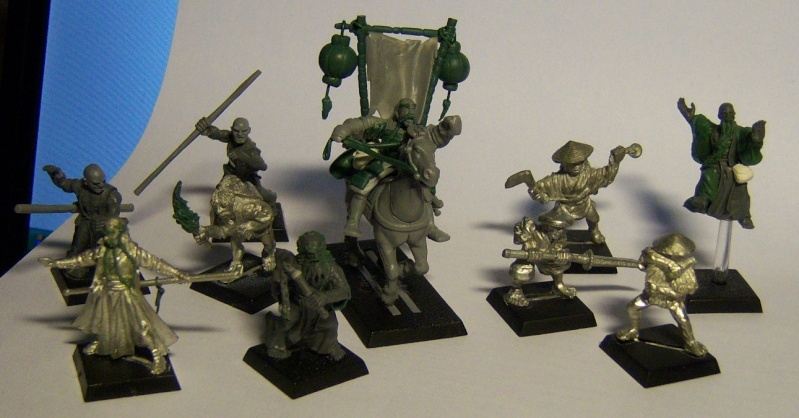 those models look great, very nice conversions. ganna look great painted. the sneek peek looks very well done also, looking quite professional.